The problem is, Downey has NOT changed – she is as New Age/occult as ever, if not more so. She still has never given a clear testimony of being born again. She still is ignoring all questions posed to her, from various discernment ministries, regarding her New Age practices and connections over the years. She still overemphasizes the role of angelic characters in her movie productions. She still shares enthusiastically about the extra-biblical “signs from Heaven” which appeared during movie production. She still touts her New Age-ish “Little Angel” children’s DVDs, sold in Christian bookstores. And on and on. New Age. Yet, increasing numbers of Christians are falling for Downey and Burnett’s claims to be Christians. They even allow them in their church pulpits. If I were a pastor, I would not allow these two “Christian” New Agers to set foot in my church. These two New Agers are that deceptive and that dangerous. Note – all above blogs © 2012-2015 Dave Mosher, all rights reserved. Excerpts may be quoted up to 300 words, as long as credit is given to my original blogs and links provided to my original blogs. Thank you. Fast forward to 02/27/13, when Bill O’Reilly interviews Roma Downey and husband Mark Burnett, regarding their TV miniseries “The Bible” premiering 03/03/13. In the interview, O’Reilly says there are many passages in the Bible he does not take literally. Click here for an article about the interview; this exposé of Bill O’Reilly’s unbelief is excellent. But it strikes me as strange that Downey paints herself as a biblically sound Christian. In the interview, she claims she is a Christian and believes the Bible literally. Yet, in New Age venues like those described above, “Christian” Downey uses the lingo of a New Ager. What’s going on here? Why the chameleon-like behavior? Interestingly, evangelical heretics Joel Osteen, Rick Warren and T.D. Jakes just happen to be on the Board of Advisors of “The Bible”. 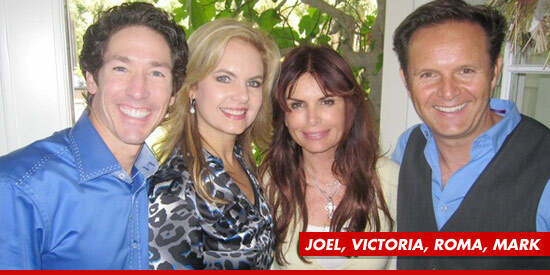 And Osteen, Warren and Jakes are also currently appearing on New Ager Oprah Winfrey’s shows. Regarding Oprah, she is now conveniently claiming (falsely, like Downey and Burnett) to be a “Christian”. Read the details about Oprah here (thank you, Stand Up for the Truth, for this great exposé). I believe God will hold Downey, Burnett and Winfrey accountable for falsely representing themselves as Christians. And I believe God will also hold Osteen, Warren and Jakes accountable for “aiding and abetting” them. Before I proceed, I want to get one thing straight. I’m not writing this blog to attack anyone who is truly born again. Rather, I am concerned for the Body of Christ – true, born again Christians – who are being deceived into following/admiring New Age “Christians” and heretical evangelical Christians. God’s Word speaks of those who would deceive us: “Beware of false prophets, which come to you in sheep’s clothing, but inwardly they are ravening wolves” (Matt. 7:15). Now let’s take a closer look at Downey and Burnett. As alluded to above, it can be shown that their lingo changes with the venue of their interview. At various places on the Internet, they write like New Agers. Yet in Christian settings they maintain they are Christians, then proceed to explain why. Note – in my early research I got the impression that “Christians” Downey and Burnett were not labeling themselves as “born again”, “saved”, “converted”, etc. during Christian interviews. But as it turns out, they are using these terms for themselves – which makes their “Christianity” that much more insidious if they are falsely representing themselves as born again Christians. And there is no doubt in my mind that they are indeed falsely representing themselves. I realize Winfrey, Downey and Burnett are not alone. Many New Agers call themselves “Christians”. But a New Ager cannot be a true, born again Christian, and a true, born again Christian cannot be a New Ager. God’s Word tells us that “the fearful, and unbelieving, and the abominable, and murderers, and whoremongers, and sorcerers, and idolaters, and all liars, shall have their part in the lake which burneth with fire and brimstone: which is the second death” (Rev. 21:8). In the rest of this series, I will quote various statements by Downey. I will show, in her own words, that she is not a Christian (i.e. a born again Christian), but a New Ager. 1) In various interviews you have stated you are a Christian and have known Jesus all your life. (In some interviews you have stated you “have known Mary and Jesus” all your life.} How do you define “Christian”? According to my Bible, all true Christians have been “born again”. When exactly did you become born again? That is, when did you have that “crisis conversion experience”? (That is, the specific event on a certain date truly born again Christians point to, when they repented of their sinful past and accepted Jesus Christ as their Saviour.) Also, please explain your understanding of John Chapter 3, in which Jesus describes how to be born again. 2) Do you believe Jesus is the only way to Heaven? Or do you believe many paths lead to God? How do you explain this verse? : “Jesus saith unto him, I am the way, the truth, and the life: no man cometh unto the Father, but by me” (John 14:6). 3) Do you believe most people – regardless of their religion – will make it into Heaven? If so, how do you explain this passage? “Enter ye in at the strait gate: for wide is the gate, and broad is the way, that leadeth to destruction, and many there be which go in thereat: Because strait is the gate, and narrow is the way, which leadeth unto life, and few there be that find it” (Matt. 7:13-14). 3) In your worldview, how does God determine who makes it into Heaven, and who does not? Do you believe this passage? : “He that believeth on him is not condemned: but he that believeth not is condemned already, because he hath not believed in the name of the only begotten Son of God. And this is the condemnation, that light is come into the world, and men loved darkness rather than light, because their deeds were evil.” (John 3:18-19). 4) Do you believe in the eternal punishment of the wicked (those who reject Christ) in the Lake of Fire, as the Bible says? If not, how do you explain this passage? : “the fearful, and unbelieving, and the abominable, and murderers, and whoremongers, and sorcerers, and idolaters, and all liars, shall have their part in the lake which burneth with fire and brimstone: which is the second death” (Rev. 21:8). 5) You say you have been born again. According to this verse, a person who is born again will forsake their old, sinful ways: “Therefore if any man be in Christ, he is a new creature: old things are passed away; behold, all things are become new” (II Cor. 5:17). Have you forsaken your sinful, ungodly beliefs? Specifically, have you renounced the false teachings of the following: Roman Catholicism, Celtic “Christianity”, Della Reese (New Thought), John Edward (Rosary-praying psychic medium), John-Rogers (New Age), Eckhart Tolle (New Age), etc.? If you have not forsaken any of these false teachings, how can you claim to be born again? Bottom line: there’s been enough softball in the Christian interviews conducted thus far. It’s about time Christian interviewers start bombarding Downey and Burnett with hardball questions like the above, asking what they truly believe. Some viewers of “The Bible” may think Downey has changed – that she was New Age but is now a born again Christian. NOT! For one, Downy and her hubby are both claiming that Downey has been a “person of faith” all her life. Yet, even today there is no mention of a true conversion experience in Downey’s life. Up until Downey’s 2010 graduation from the University of Santa Monica (with a degree in New Age “Spiritual Psychology”) and shooting of “The Bible”, one could find many references to Downey being New Age. New Age statements and connections can still be found occasionally after 2010 – with a lot of searching. Downey and Burnett seem to be trying to sweep their New Age connections under the rug as they court the Christian market. Downey’s so-called “Christian faith”/spiritual journey seems to be an occult New Age smorgasbord of Roman Catholicism, Celtic “Christianity”, Della Reese (New Thought), John Edward (Rosary-praying psychic medium), John-Rogers (New Age), Eckhard Tolle (New Age), etc. Not to mention a New Age obsession with “angels” (who in “Touched by an Angel” never mention Jesus) and “miracles” (in the “It’s a Miracle” TV series these usually consist of occult manifestations). On top of all this, in recent years Downey and her hubby seem to have adopted theological bits and pieces from heretic Joel Osteen (evangelical prosperity gospel, positive thinking), heretic Rick Warren (evangelical seeker sensitive, global P.E.A.C.E. Plan), heretic T.D. Jakes (evangelical prosperity gospel, hints of Jesus-Only/Oneness Pentecostalism), etc. So where does Downey stand today? I do not believe she is a born again Christian as she is painting herself to be. In various interviews, she’s implying that she’s known Jesus all her life, that she’s born again, and that she’s accepted Jesus as her Saviour. Yet nowhere have I heard Downey testifying of a conversion to true Christianity – repenting of her many years following an ungodly New Age mishmash, being born again, accepting Christ as her Saviour so she won’t receive eternal torment in Hell/the Lake of Fire. Secular articles, Mormon articles, etc. The Christian Diarist, Hollywood Christian Couple Brings “The Bible” to TV – A big red flag here: this writer favorably describes Downey and Burnett’s visit to heretic Rick Warren’s Church. 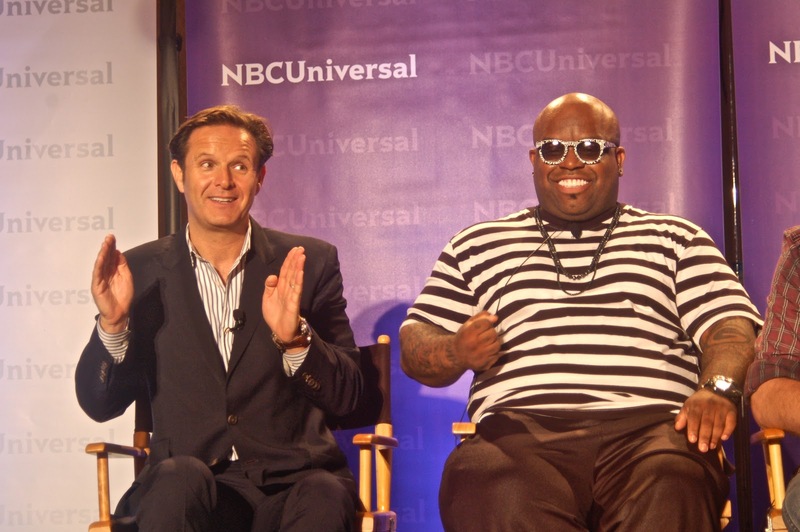 Erin Benziger of Do Not Be Surprised, The Word Made… for Television? C.H. 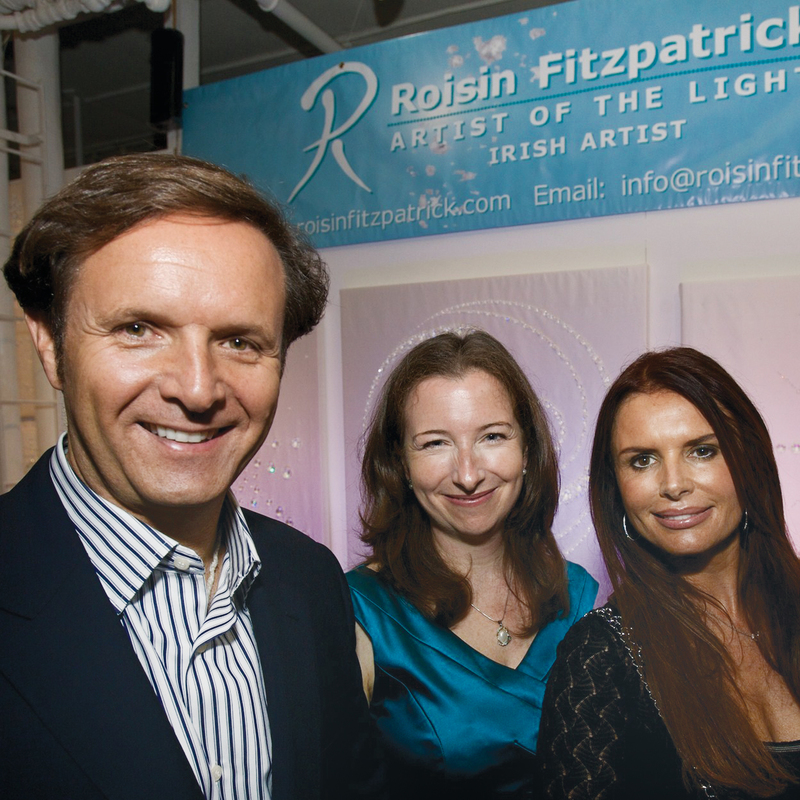 Fisher, Truthkeepers.com, Is Roma Downey a New Age Adherent? Stand Up for the Truth!, Jim Wallis produces commentaries for “The Bible” (03/19/13) – Wallis, a leftist activist, leads Sojourners. This blog by Stand Up for the Truth! is followed by links to five additional articles exposing the heresies of “The Bible”. Stand Up for the Truth!, Something HUGE is missing from the Last Supper! – this includes a repost of Sunny Shell’s blog, plus a number of comments made to Stand Up for the Truth! WND, Just how unbiblical is ‘The Bible’? Some reader comments on “The Bible”, Downey as a New Ager, etc. David J. Stewart, Oprah Winfrey’s Teachings EXPOSED! – This excellent exposé was written around 2001. She has become much more New Age/occult since then. Do no be deceived – again, she is not a Christian as she is claiming today, but is a New Ager. © 2012-2015 Dave Mosher, all rights reserved. Excerpts may be quoted up to 300 words, as long as credit is given to my original blogs and links provided to my original blogs. Thank you. Just finished hearing Chris Rosebrough’s review of Part I. Well done! But how tragic yet intoxicatingly seducing…you can really see why there are so many millions of followers of both RIck Warren and Joel Osteen. Warren sounds like Tony Robbins whom he stole his idea of Purpose Driven Life. So no wonder The Bible series goes a astray with the facts of Scripture. Warren was already an expert at violating the truth of Scripture in his own PDL book, mixing fiction with fact. How sad this is. Why is it so difficult to simple make a movie on the Bible that is textually accurate?? Did anyone else see it and I missed it? Maybe I was supposed to see it in my imagination, like a good contemplative in an altered state of consciousness? There is simply one disaster after another on this film series. IT is catastrophic! One of the ads is called Come Back Home (to the Roman Catholic CHurch)…no surprise here either, as Warren is a PDL plan for RC too. And Warren supports the new pope who is a Jesuit. Are you kidding me? Has Warren ever read the Jesuit Oath? He must have lost his mind! Great to hear from you James! Thanks for the great comments. I appreciate how you confronted the Emergent Evangelical Friends at George Fox University. I knew you were also very knowledgeable of the heresies of Rick Warren. Now that I’ve found a connection between Oprah Winfrey, Joel Osteen, T.D. Jakes, Rick Warren, Roma Downey and Mark Burnett, I’ll be going back and reading your articles on Warren more closely. Anyone with a freemasonry tilt is an Apostate, Freemasonry to ancient Egyptian beliefs, the core of which is to Hinduism, to the Syncretism called “Babylon” the symbol in the O of the OM magazine is to the Trinity of Hinduism pronounced “OOM” or “Avum”, the false one coming as the “Pseudo”. Freemasonry is come as the manifestation of that “Enmity” which God put between the Woman & the Serpent at Eden. Thanks Dave & one more thing is that which drives freemasonry or the Spirit that drives it is Witchcraft/Occult come as The Sorcery, as the Biblical Prophecy says “He will deceive the whole world through the Sorcery” to the “Pseudo” there is the false or Evil “Egyptian Arc of the Covenant, resembling Zechariah Ch. 5. To know a little bit more of these Egyptian stuff, If it was Physical Egypt that enslaved Israel of old, then it is Spiritual Egypt which enslaves man today. Where it is said of King Josiah who was prophesied 400 years before his birth “The was & will never be a King like him, to His war against Physical Egypt at Meggiddo, is but to mean The Christ to his Spiritual war against Egypt in its manifestations, to the Prophesy of “Spiritual Sodom & Egypt” to know today from where this “Sodom” is manifested & implemented. http://loyaltytoyoursoul.com This New Age book was written by some of her “spiritual psychology” teachers. If you click on the “Praise” link, Roma is one of the book endorsers, along with Arianna Huffington and Barabara Marx Hubbard, ALL connected to the “university”. What these people do is try to remove the “Essence “of the truth of Christ to the faith by the “Additions & Subtractions” to the very warning of Jesus “Beware of the Leaven of the Pharisees & the Saducees to the additions & omittances, against the faith which is to God. On this, skeletons are falling out of the cupboard like the Arianna Huffingtons queens (slaves) of freemasonry to its very Spirit of Witchcraft/Occult in deceiving Sorcery called the “Witches Brew” in the battle against the Lord & against the “Woman” in the Enmity, is but to know that even the god of this world, their god, their “OM” & ‘Aums” standing before the Glory of the Lord of Heaven & Earth, does not even speak unless spoken to. Hello Dave- To the Prophecy of Sodom & Oprah/friends off that ‘ole Iniguity: to the words of Jesus “I come in my FATHER’S name & you receive me not but if one should come in his own name, him you will receive”, which means that the one who comes(not as Anti christ but as the Pseudo & since as Pseudo it would be in great deceit)) comes against all that is called Fatherhood – look around to see its happenings to the Anti Family (Anti life) structures. Zeus/Jupiter(king of the Pagan beliefs)is supposed to have unsurped his own father to say he comes in his own name whose mate is that called as Diana in their avatars to the many Pagan religions, is but to the Spiritual Understanding generally known as “Egypt”. To the Prophecy of the Abomination of desolation written by Daniel & repeated by Jesus, the Physical Abomination came about before the Advent of Christ to The Greek Antiochus installing the statue of Zeus/Jupiter in the second temple, which was eventually defeated by Judah Maccabee & his Sons & to his tribute is the authentic Prophecy of the “Arc of the Covenant” in the book of Maccabees by Prophet Jeremiah given. That is right Dave, to the prophecy of Jeremiah in Maccabees is the revelation of the Arc of the Covenant in the future by God, in his gathering unto Himself to the word “Inheritance” & is not to the Physical Arc made by Moses, which was a model of the Original that which Apostle John saw in heaven. It is the revelation of the original, for in heaven all things are alive & is uncut by hand. For the New Covenant is the original, for unto God there is only one. IEUSA: Were you always a believer? Roma: I was born into faith, into a house of faith. My earliest memory is of my father sitting me on his knee and reading the Bible to me. I was educated by the Sisters of Mercy, or as we used to call them, the Sisters of No Mercy. My own mother passed away when I was just a little girl and I really got such comfort from my faith. My own devotion to the Blessed Mother was such a comfort to me in the absence of my own mother. It was an enormous privilege also to step into that role. IEUSA: Was it intimidating to play Mary? What was it like? Roma: I did not go over to Morocco with the intention of playing any part. I went over with my producer’s hat firmly on my head. The opportunity arose and my husband said, “I think you’re missing the obvious here. You need to play this role yourself,” when we were having trouble casting it. I’m glad that I did. I am a mother myself. What I brought to it was a mother’s heart. To feel those scenes through a mother’s heart and to see those scenes from our story through a mother’s eyes, it was very poignant, very meaningful, very emotional work. It was humbling but it was beautiful to play her. I loved it. I love her, and I loved playing her. IEUSA: Do you think it was as important to be a mother as it was to be a believer to inhabit that role? Roma: I bring a great love of Mary to the role, and reverence and respect. I wonder why not one single catholic has confronted Roma on her apostate “Spritual Psychology” degree from USM which teachings are contrary even to the Catholic Church. On Feb 4th in Dallas TX Roma and Burnett showed a grouping of clips from the miniseries to 60 Catholic bishops which of course all put their stamp of approval on mini series. How many paths to Rome will the Catholics blaze to lure the unsuspecting back into their ecumenical fold? Millions have been deceived by this series which is satans luring bait to bring people back to Rome. “—thou sufferest that woman “Jezebel” , which calleth herself a Prophetess, to teach & seduce—” Now this is not the Mary but the adversary, the Pseudo Mary, like unto the Pseudo Christ to which people like Roma & even many a ones in the Obama Cabinet are, into the Apostasy, through the outside ones like the Oprah Winfreys whom Jesus calls as the “Children of Jezebel,” So, saying one is a catholic or have been under sisters to using its name etc. does not cut much ice when it comes to the Jezebel Spirit against The Faith in Christ Jesus. For ones heart only God knows. The word of God is like unto a two edged sword—–“. Dave, thanks for your comment: Through the Spirits of the seven churches in revelations are, the seven Churches established by Christ Jesus to know that the only one who can put out any of the candles is by Him only, did he not say that the gates of hell will not prevail against that which he establishes. But to also know the warning “—if not, I will come Quickly—” Now this word quickly is not to a time frame but means suddenly, without warning” & this again will happen in HIS second coming which means these Churches of which the Church of Thyatira( the Catholic Church in general)set up then, will remain till His coming & to a simple personal knowledge “For even the God of this world to the “OM” & “Avum” standing before Him, His Glory does not even speak unless spoken to”. So understanding the seven churches in terms of time dispensations is in Error, to know that Christ spoke to the Spirits of the Seven churches not in different time periods but at one time & to understand the seven Spirits of God turn to Zechariah or Revelations. And unto the Church of Thyatira said Jesus “The last be greater than the first” is to the Progressive Faith, Progression means continuous, like when St. Jude says “Contend for the faith which is to mean through generations”. Now Dave the second part Regarding the Elect of God undefiled by Women, to the article in end time Prophecy, seems to make you believe in a great error stating The Woman= Church, makes it to mean not defiled by the Woman, to the Church The Woman is the one described as the Glorious one in revelations Ch.12, through whom was the Messiah born & caught up to heaven, to the resurrection of Jesus. Now the Woman as said of Her was Jesus born, the lamb of God as the seed of the woman, & the Elect- redeemed from among men called as the Remnant seed of the Woman, with the Lamb itself being the first, to the first fruits of the Lamb Them who keep the commandments of God & have the testimony of Jesus Christ, for the testimony of Jesus is the Spirit of Prophecy. To this that end time Prophecy has twisted the whole to mean the very opposite. Dave, there is something called the Revelation of the “Arc of the Covenant” mentioned in 2Maccabees2 again to the words of Jesus ‘You know not the Father neither the Son, but them unto whom the Son pleases to reveal” which is to the fulness of Christ Jesus, to the inheritance of God in the gathering unto Himself his people(to that Mountain called the mount of inheritance where Moses saw the Glory), Spiritual though for this revelation comes about individually in the Spirit by His Mercy, for flesh is corrupted, moreover God is Spirit. Ali of this foreseen by Prophet Jeremiah, confirmed by Christ to a personal relation with God, found to be much contrary to Paganism, Atheism Deism even the present day Talmudic Judaism, attacking the Truth of “The Covenant” against the salvation, the purpose oft this life. I don’t know about Burnett, but I don’t think Downy is insincere in saying she is a Christian. I think as a Roman Catholic, she truly believes this. Also, many people into New Age thinking believe they are Christians. And the New Thought movement (which Della Reese is a part of and which has influenced Downey) claims to be Christian.Check out Unity, the Christian Science church, and the church of Religious Science. As a former New Ager in full time ministry dealing with the New Age, the danger I see is not with New Agers as such, but with the New Age getting into the church due to apathy and ignorance and Christians getting involved in New Age practices and concepts like New Age alternative healing and mysticism. When we say Christian it is to connect with the God of Abraham, Issac & Jacob, whose Mercy to the Mercy seat of Arc of the Covenant, come as the manifestation of Christ Jesus to His fulness to Col:2;9: For in Him is all the fulness of the godhead bodily” called as the Grace. New Agers come in Christian & Jesus names, but the catch is that it is found that they have no relation to the God of Abraham, by their beliefs thus separating the Son from The Father, which is but to identify that their Jesus is another Jesus & hence their belief become to another gods , a camouflaging technique, some thing like Israel of old made a feast unto the lord through a golden calf, in the works of the Downeys & Burnetts ways of twisting, to a fast buck (Mammon) I suppose. That Bible series put out Mark and Roma Downey changed key things from the Bible version and there was no need for them doing that. They said they consulted with Theologians before making the movie but all they had to do was open their Bible and actually read the whole Bible Genesis to Revelation. As for Jakes and Oprah, Jakes has committed high treason against Jesus by holding hands with her and appeasing her by not mentioning Jesus as the solution to fatherlessness. This man is a fraud because he taught to not be unequally yoked with people that deny Jesus is the only way to God. Oprah made a public statement all paths lead to God and never heard her say she was wrong. Fakes and hypocrite is all I can think of. And those gullible folks running after that New Age Guru are traitors too. That Bible series put out by Mark and Roma Downey was such a joke cause they changed key elements from what the Bible has written and gullible folks appeared to praise this film without researching to know the difference. They also picked a Jesus who looked like a California surfer. No respect! To know the corruption of the faith come by the Downey’s is not accidental, it is required to look back at the “iniquity” that was of old come down to the latter times to Gnosticism, to finding(the planted) Gnostic gospels at Nag Hammadi incidentally in the mid 1900 that which were rejected by the Saints. of ‘old. Where the commencement to altering Biblical words was not done directly to the Bible but by bringing about the reference Bible by Cyrus Scofield through Oxford to give the word of God a different essence contrary to the Apostolic Faith , which then became ripe to rewrite another Bible which was done by John Nelson Darby off the Plymouth Brethren fame to bring out a Bible in his name, effectively another Bible, Thus was planted the written seed of the Apostasy off that Iniquity & from this has come scores of Biblical interpretations demeaning to the faith. The scope of it is to turn Biblical understanding to combine with Gnostic beliefs come the other way as the New Age, the very offshoot of Paganism. All of this packaged through Freemasonry quiet deceitfully. A Look into the supreme court at Tel Aviv with its many Hindu alters, exposes that ‘old Lie of the Golden calf, its people & its gods. To understand the basic belief of Gnosticism is to discount the God of Abraham & to this Christ is made into another Christ a “Pseudo” even a la Krisna in its many Avatars, through another Bible. As is stated “satan has been a liar, thief & murderer from the very beginning. Many interesting and good points, Abey. I like many of your thoughts. But, could you please provide some links to articles explaining how Scofield and Darby leaned towards Gnosticism and altered Bible words? I would label myself as “separatist fundamentalist Wesleyan Holiness.” Although I am not a dispensationalist, I use the 1917 Scofield Reference Bible as my primary study Bible (mainly because it is KJV). I do realize it has problems, but I had not heard of any Gnostic references before reading your comment. – I did note in this Wikipedia article that C.H. Spurgeon was a critic of the Darby Bible. I’m not sure why. I would also be interested to know what objective, scholarly sources Abby has to support the contention that dispensationalism is rooted in Gnosticism, a claim which is laughably absurd to those familiar with Scofield’s and Darby’s writings. In point of fact, covenant theology and its eschatological subset of amillennialism and post-millennialism would be more likely to be rooted in Gnosticism as that form of theology is rooted in allegorical, “spiritual” interpretation of scripture which is available only those initiated into their system. Such secret knowledge and its appeal to pride is a key premise of gnosticism. The dispensational theology of Darby and Scofield is rooted in the premise that Scripture is to be interpreted “naturally” according to commonly accepted rules of language, without resorting to allegorical interpretations and that Scripture could be readily understood by all believers since all believers have the Holy Spirit indwelling them to illuminate the Scriptures–without the necessity of secret knowledge to be given only to those who have been specially initiated–and that premise would have been anathema to Gnostics. It is also highly significant that Covenant theology, amillennialism, and post-millennialism are positions maintained by the Roman Catholic cult–again stressing the idea that such knowledge is to be kept for a select few who have been initiated into the priesthood–another premise of gnosticism. If Abby is going to trot out such tired arguments as those advanced by people such as Dave MacPherson, it must be noted that MacPherson has no standing or recognition as a scholar as much of his “work” has been thoroughly debunked, being based on fraudulent sources, and oftentimes deliberately falsifying [making up] evidence when no reliable documentation can be found which supports his presuppositions. I guess I’m somewhere in the middle, between your position and Abey’s. In eschatology, I grew up Pre-trib but now lean towards Post-trib (obviously premillenial). I believe Christ is coming soon. The root problem I have with any eschatological position apart from the pre-trib, pre-mil view is a point expressed by the late John Walvoord in “The Rapture Question,” in which he points out that all the other eschatological positions [mid-trib pre-mil, post-trib pre-mil, amil, and post-mil] wind up expressing a soteriology which is antithetical to the reformational view that salvation is by grace alone through faith alone in Christ alone. Underlying those other views is the premise that the church is unworthy to enter a glorified state until and unless it first proves its worthiness by enduring what the Bible calls “the day of God’s wrath” [Revelation 6:16-17] and that such a concept is, at its core, a form of teaching justification by works or individual merit. Such views run counter to the plain statements of Scripture that those who are in Christ will not have to undergo or experience the wrath of God [1 Thessalonians 1:10; 5:9]. And please accept my apologies since I know this is off the topic of your post and I don’t wish to appear to be hijacking the discussion. If you are interested in studying the matter further, I can recommend the website pre-trib.org. sheeps clothing ! ! ! Thanks for the info, caucazhin. Seems to me Roma Downey and Mark Burnett are focused on reaching the profitable market of Christian TV viewers and movie goers. Personally, I don’t want any of my hard earned money going in the pockets of New Agers. Funny, isn’t it, how Oprah touts so many New Age, unchristian and anti-christian teachings, while maintaining that she herself is a Christian. Just as angering to me, is the huge number of Christians who naively hang on her every word. thanx dave ! …it definitely seems that the so called ” CHURCH ” is splintering into factions and fragments with the ” GREAT APOSTACY ” well under way. As scripture tells us throughout both in the OT & NT there was really only always a small true remnant. All of this epitome is a revelation, of the Kingdoms of this world that stands against the Kingdom of God by His Christ, to come.. This again today is clearly denoted by the many alters figured within the Freemasonic Israeli supreme court . The very gods of the highly corrupted Masonry(for the builders rejected the chief corner stone) denoting the prophesied “Strong Delusion” from God, to “The Lie”, that old Lie come from Eden, manifested through the “Golden Calf” For before God “death & time” are no means of escape., even unto the warning from Jesus “Fear not the ones who can hurt the body , but fear the one who can both kill the body & destroy the soul in hell. To this as is written, the Angels of God prepare the hell. I’m curious how many countries of the world are infiltrated by Freemasonry/Illuminati. I’m sure there are more countries than the U.S., Israel, the European countries and the British Commonwealth countries. BTW a note to my readers: I DO NOT view this as a Zionist/Jewish plot, but a Satanic plot in which Jewish people (and many other nationalities) have become ensnared. Thanks Dave – Freemasonry depicts the Rise & Fall of Lucifer with its works come through the Mystery of the ‘Golden calf” except that it relates to that great Lie off Eden, for the very same mixed multitude who carved out the lie are the very same who have been made to expose that same delusion by the many Alters figured in the supreme court, As for its cabals, where one becomes open are then & there many hidden, like multi serpentine heads(notice in the photographs that the Alters specially of the hindu deism’s presently representing the Pagan religions figured, has been omitted..
As to the words ‘to be the Apple of God eye’ is come in the spirit which can be understood from Revelations to the four Seraphim’s standing around the throne of God having six wings & having eyes all around them, for these are the Eyes of God & to be sighted continuously by one of these eyes is to be an apple of His Eye. Now another eye, the eye of Freemasonry depicted on the Dollar bill is but to Mammon, unto the words of Jesus -God or Mammon, Ye cannot serve both. Sodom is come as the marker of the Mammon & from where comes its modern originations ? claiming liberty except it be according to the spirit of this world. Good Day & so be guided by the Spirit of God. I actually saw ‘bible mini-series on TV and I could not believe all of the inaccurate and made up stuff. I am in such unbelief and disgust at the deception of the Body of Christ and how little they seem to know their bible. I have been up holding the truth at my church and it’s unbelievable how my own brothers and sisters have come back at me with such hatefulness about the movie “Jesus Son of God’ because I believe that Roma Downey and her husband found a way to make money off the church and they are laughing all the way to the bank. I would not take any sinners to see because it is false gospel. All I have heard is this allowing the church to start up a conversation about Jesus to the the Lost. Well, if we had been living it in front of the world all these years instead of being hypocrites we would not need a film from Hollywood from a bunch of wolves in sheeps clothing in order to start a conversation with the lost. God sent his Word and that’s all we need to live it, witness and pray, pray. This movie is a seeker friendly movie causing no one to get offended no one to repent and no one to get saved however I know God can always take what the devil meant for bad and turn it around for his good. It would be interesting to see a detailed list of all the errors and misquotes in Downey and Burnett’s productions. 1) At the end of Jesus’ temptation by Satan (who does not even appear in the movie), Jesus says “I worship the Lord my God [not Satan] and Him only will I serve.” Yet Matt. 4:10 says, “Then saith Jesus unto him, Get thee hence, Satan: for it is written, Thou shalt worship the Lord thy God, and him only shalt thou serve. So in the Downey/Burnett production, Jesus is not saying that He Himself is God. 3) When Jesus explained “being born again” to Nicodemus, Downey and Burnett have Him saying, “For God so loved the world, that he gave his only begotten Son, that whosoever believeth in him shall have everlasting life.” But note what Downey and Burnett left out: “should not perish”! Hello Dave- Jesus said unto Peter & his brother Andrew “Follow me & I will make you fishers of men” To this the movie states ” Let us change the world” which but resonates not to Christ but to Obama’s “Change, Change & Change of all Changes nothing but the change to “Sodom”. These Apostates as Sharon says “Laugh all the way to “his” bank. “His message? The changes society needs must do much more than scratch the surface. They must be radical. In the TV miniseries, the narrator mentions “the Kingdom of God” several times – sounds like Warren and company’s Dominionist agenda to me. And I noticed in the TV episode when Jesus was tempted in the wilderness, then baptized by John, the next scene was as follows. The narrator said something like, “And so Jesus began His mission – to bring God’s Kingdom on earth.” Really??? Hmmmm, I thought Jesus was born to die. His mission, His purpose was to die on the cross as our Saviour, our Redeemer, so that those who believe on Him will not perish but receive everlasting life. Now THAT’S what I call a “purpose driven life”! Davemosher: The simple truth is that the words of Jesus to being Fishers of Men is but unpopular & politically incorrect, so they changed , even by the said advices, to politically correct words, by far looking at the eye on the little horn speaking great things. Politically correct ’cause Obama used the word ‘change” for his glory, ignorant of the spiritual differences between the two. As for Rick Warren the last that was known of him, was his desperate search for the revelation of the words in Col. 2;9. But then if a simple revelation to the Prophecy of Israel “Looking up to the Brazen serpent in the wilderness ‘ in the specifics cannot be understood & preached how then can the fullness of the Godhead be understood for these come not by Ideologies of intellectualism, but by the Will of God , through His Spirit. To a little bit more understanding come of that “change” relating to ‘Sodom”, is revealed in Daniel to the like of the one “Who will not regard the desire of Women” to this is free contractive even to the abortions to family planning in Planned Parenthood names, alternate lifestyles, manipulating even by Education young ones from the childhood to become state properties unto the Agenda of the “Beast” plucked out of their parents, denying the Love, which only the parents can give, not the state & its dictates) & above all centered on & around the ‘Sodomic Agendas’ calling it Liberty but to “death” disregarding its Spiritual implications to means of population controls OR is the fulfillment of a Woman to bringing forth children her basic desire to which is the one(s) opposed by all his ways, even citing Liberty quiet cheap indeed, for a people fallen into such a delusion by these wolves in lambs clothings. Needless to say the Pride in hiding the fact that the basic desire put into the woman even to her fulfillment came as the Mercy of God so that Mankind may continue, no-deserving though. Even unto the salvation, to the prophecy of “Looking up to the brazen serpent in the wilderness”is to the words of Jesus ‘Pick up your crosses & follow me Daily’ to equate with Him is to say Crucify thy flesh & the serpent on the Pole denotes ones own sinful flesh(Israel for a while even worshipped the serpent, by so doing were worshipping their own flesh in it works till came a wise king & destroyed it) But then such highly inconvenient preachings to the truth are not heard from the pulpits ’cause it does not please the ears is but salvation compromised, Moreover stopping this daily sacrifices does relate to the Prophecy of Daniel to the Abomination of desolation which is to take place. Flesh is sinful which the pagans also believe but the integral difference is that by the daily sacrifices against worldly desires is to contain the indulgement to its sins where to the Pagan the flesh being sinful is condemned so any amount of its indulgence is of no importance, hence no restrainments, for by so saying it is not God that condemned the flesh but themselves by their ways, this is the difference – worship of God to that of worship of demons, the gods of the tree of good & evil which conveniently interchange, whereas God does not change for He needs not ‘ cause He is God, seeing the end from the beginning, anyway whichever.